Mediator James W. Street has found that piping in with one of his colorful one-liners in the midst of heated mediations helps litigants and lawyers laugh a little and, more importantly, see reason. He reserves the juice-squeezing line for litigants who stubbornly prolong a case and the nickels-to-manholes analogy for people bickering over tiny amounts of money. Street, 65, has seen his share of petty disputes throughout his 30 years of work as a San Diego solo practitioner in personal injury, real estate and medical-malpractice litigation. Now as a full-time neutral for his own firm, Street Mediation in Cardiff-by-the-Sea, Street also handles homeowners’ disputes and insurance cases. He said his strategy of using humor in tense mediations helps him gain people’s trust, a necessity in resolving a case. Street began his legal career against the intense setting of the Vietnam War. After graduating from the University of San Diego Law School in 1968, he handled largely criminal defense cases as a trial attorney for the Marine Corps in Camp Pendleton. He said at least one of his cases involved “fraggings,” incidents in which an officer kills a superior officer, usually by means of a hand grenade. “We had a lot of social and racial unrest during that time,” Street said. In 1972, he turned down an opportunity in the U.S. Attorney’s office to open up his own practice in Carlsbad. Since then, Street has practiced in general and personal injury litigation and, most recently, in medical malpractice. In Keck v. United States of America, Street successfully settled a 1997 case against the U.S. Department of Veterans Affairs in which a systematic failure in the VA San Diego Medical Center led to the plaintiff, who had earlier complained of fleeting blindness, experiencing a severe stroke. Street obtained the maximum amount available for pain and suffering for his client, which was between $200,000 and $350,000. The case was handled through the U.S. Attorney’s Office of San Diego. Street moved into full-time neutral work in 2004 after seven years of handling arbitrations and mediations part time alongside his legal practice. He has mediated about 2,300 cases in his career. Street’s cool demeanor and personable manner calms even the most emotional sessions, according to his clients. 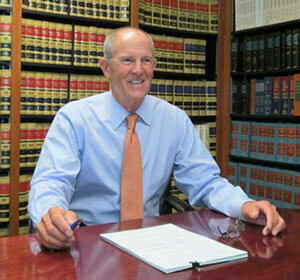 Stamen said Street’s unique strength is his ability to build a rapport and trust with a variety of litigants, from straightforward business people to homeowners who do not understand the legal process. He said Street works for both parties involved. “My clients have always walked away, even the unsuccessful ones, feeling he was well-prepared, understands their positions and, most importantly, they were treated fairly,” Stamen said. Even if the parties do not reach an agreement during the mediation, Street said, he continues to pursue the case. Street said he knows his mediations are successful when both parties understand the case well enough to make informed decisions and feel that they were both treated fairly. Charles Roseman, a personal injury and wrongful death solo practitioner in San Diego, said he regards Street as a “true impartial neutral” who is highly regarded by both the plaintiffs and the defense. Street’s honest and no-nonsense approach to his mediations has gained his trust, said Gregory Konoske, a San Diego civil litigation and insurance fraud attorney who has known Street for 20 years. Konoske, an attorney with Shifflet, Kane & Konoske, said that even as a plaintiff attorney, Street was fearlessly honest about the merits of his case. But even Street’s best attempts at trying to get litigants to see reason can fail when a person becomes immersed in the desire to have things one’s way or has bad legal representation, Street said. At such a point, he knows it’s time to remove himself from the mediation. “The biggest problem is when you have someone who’s obsessive about something and they’re not represented by a lawyer who is giving him good advice or understands his problems or worse- is happy to get the nice hourly pay,” Street said. But for the most part, he said, injecting his humor into often dour situations leads to an end that is satisfying to both parties. “Life can be serious, but the vast majority of problems in mediations are problems that have solution,” he said. Some of the lawyers who have used Street’s services are Dean Rice, Maxine, Rheinheimer, Stephens & Vrevich, Vista; Randall Stamen, Law Offices of Randall S. Stamen, Riverside; Gregory Konoske, Shifflet, Kane & Konoske, San Diego; Charles S. Roseman, Charles S. Roseman & Associates, San Diego; Gregory Lutz, Del Mar; Dennis Aiken, Aiken & Pinnegar, San Diego; Steven Kuhn, Kuhn & Belz, San Juan Capistrano; Dean Goetz, Solana Beach; Gina Lacagnia, Neil, Dymott, Frank, McFall & Trexler; San Diego; Constance Shaneer, Law Office of Constance H. Shaner, Solana Beach; Tracy Richmond, Wordenwilliams, Solana Beach; Alexandra McIntosh, Carlsbad; Joseph Stine, Melrose Law Center, Vista; E. Ludlow Keeney, Jr. Keeney & Wait, San Diego.